Giave participated as exhibitor to the last edition of EURASIA 2013, celebrated in Istanbul between the 12th and the 15th September. The company showed their products in TEKNOSMART LTD. STI.’s booth, who is the Giave agent in Turkey, together with other manufacturers of peripherical equipments for these machines. 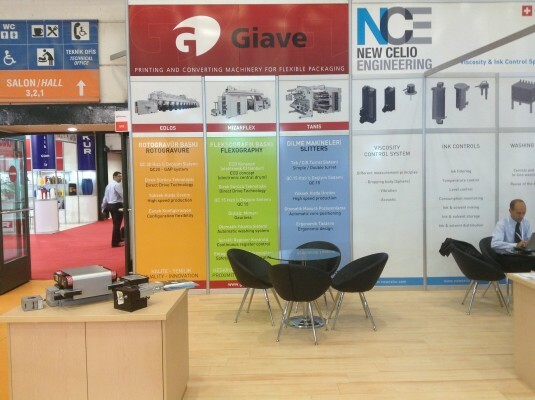 Once the exhibition finished, the company made a very positive appreciation for having exhibited there, because it meant, on the one hand the possibility of giving out Giave to potential customers and on the other, a meeting point for existing customers. After having opened the market in this country only a few months ago and after having installed some machines there in the last years, Giave bet for this country in order to extend both its commercial network and its international reputation.